This week’s challenge is all about teaching math online. While many of you probably specialize more on the corporate side of e-learning, there’s a lot of creative things going on with K-12 and higher education that can help all of us build better courses. Not only is this a great opportunity to expand your e-learning portfolios, it’s also a great excuse to freshen up on your math skills. 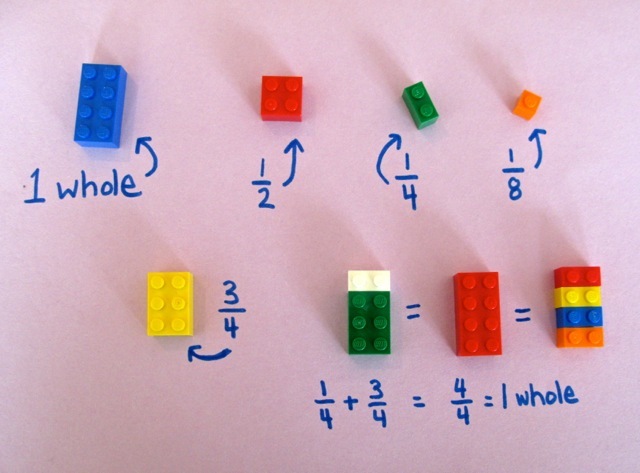 If you’re for an analog approach, consider using LEGOs and a Sharpie to create your interactive worksheets. Great collection of visual learning activities from Learn Alberta. If you missed the e-learning games challenge, you’ll want to check out this site for inspiration. 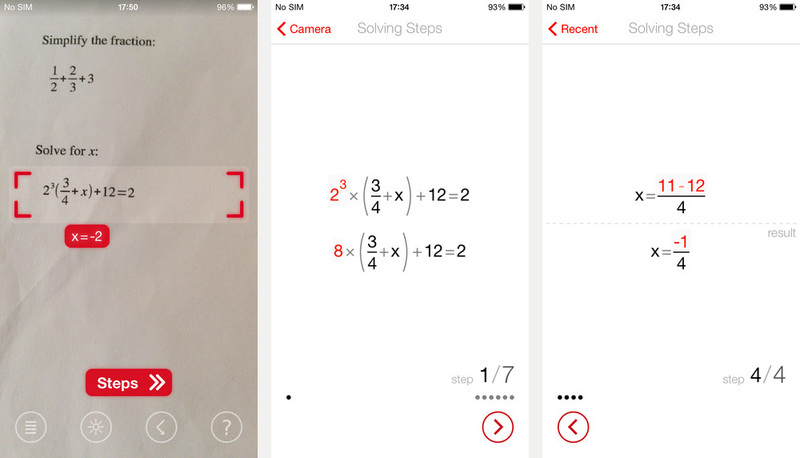 Use your phone’s camera to capture a math expression and then watch the solution steps broken down into a series of step graphics. 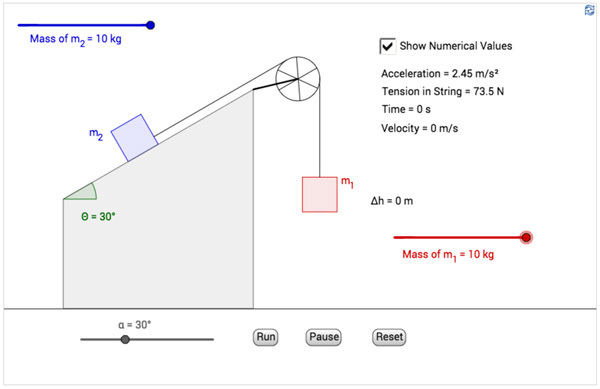 GeoGebra offers free and interactive teaching materials for math. You’ll also find lots of creative uses for using sliders. If you’re unsure what type of math example to share, consider putting something together for higher education. We get a lot of requests from teachers looking for examples but we haven’t had much to share. Of course, you can focus on any age group and level of math you like. Have fun with this one! 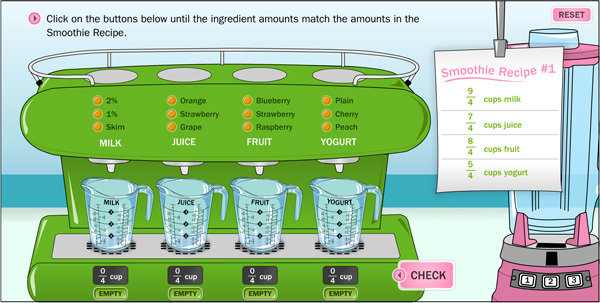 You can use Articulate Storyline, Articulate Studio, or PowerPoint to design your math lesson. Need math equation in the questions and options - Good tips for using Word to create your math equations. Wishing you a exponential week, E-Learning Heroes! Ugh, math - my kriptonite! But elearning design is your superpower! Right on. I have some fun ideas I'm going to try this week. My kid had "math night" at her school last month and I learned some fun math games. Oh, so you're a ringer! Yeah, I'm a "genius" at kindergarten math! I'm with you Linda, maths = scary. Might need my 6-year-old to help me! YES! I am all over this one! Wahoo! Great to see you, Allison! I knew you'd appreciate this challenge. Paul - I think one of your first demos was a math game, right? Either way, glad you're into this one. That's true David, I still think that we can help a lot of K-12 learners with their math problems! Hello Paul, I like the teacher with the glasses, maybe because I wear one too! I didn't seem to get what to do... Is it just teaching me the sums or am I supposed to interact with it? Hey Daniel, Thx for the feedback...I will add an example page to the updaten version... The idea of this example is to teach you the sums, you need to pick the right answer from the choices below the sums before the timer ends. Yeh!! I got it now... I didn't know the blocks below were choices. Thanks, and waiting for the updated version! Paul this is pretty awesome and beautifully animated. 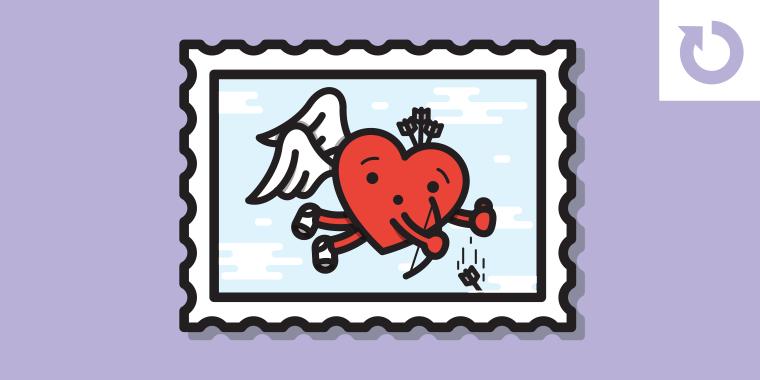 You are setting the bar high for this week's submissions! Great job Paul. It's nice to know I can still work those tough multiplication problems! Hi Paul, I'm getting a 404 now. It looks like it's a general site issue, though. Your homepage says the site is in maintenance mode. Haaa... I guess this was the wake-up challenge I needed to bring me back to the challenges and since I love Math, I couldn't resist this one . . . Thanks David!! So I began with a few quotes on Math https://flic.kr/p/rhQ4z8 https://flic.kr/p/rhJ136 https://flic.kr/p/qm4xJB https://flic.kr/p/rhPGLp Hopefully, I can get to do something more before next week! The "Fear of Math" is the beginning of failure. Nice quote there Daniel. Glad to see you are back. Michael, I love this one. Nice work. That is fantastic Michael! I am horrible at maths, and it was so clear to understand, Awesome work! Excellent Michael, that looks so realistic. I'm traveling this week, so I may not get mine in until Friday. I do know what I'm doing mine on though! Richard this is really great. You've set the bar quite high. I knew you couldn't stay away for too long. Such a nice job, Richard. My 9 year old (animal lover) was all over this design! Glad you guys liked it. It took about 2 hours to create. Very smart and nice kids-friendly design. I like the idea showing result moving a slider. Very nice. And the music worked as you intended. I felt very relaxed even though I was doing math! I loved it, the turtles, the music and nice incorporating a slider. I love enjoyed reading your process. This is good! I bet primary grade students would love this to practice their math skills. Richard, I love this, and so will my first grader when he gets home from school! Loved the images and overall look and feel and the execution is great, clever and creative use of the slider, awesome job! I just asked my 7-year-old to try it. He says it was fun and he thinks other kids would like it too. The bragging father in me feels compelled to mention that he got a perfect score. PS: Great choice on the design. Very friendly. The robotic voice worked well with your choice of mascot. The speech stuttered or jumped a few times for me, but that could be my slow internet connection. One suggestion I have is around how you phrase the formula. Just after we pick a card. The text says "you pick one card", but I think "there is only one queen" would be clearer. Otherwise, when you get to the question about the full deck you might think the formula is 1/52 (because you pick 1 card) instead of 4/52 (because there are 4 queens). Thanks Simon, I really appreciate your advice and I agree... will fix this... One thing this challenge really made me realise is that my work is being dominated by voice overs (or the lack of) I need to let go of this.. and try to create without the voice overs. It seems to be working now Christine, it just takes a few seconds before it starts. Using the cards to illustrate your point was a great idea, well done. Thanks Linda, Once I submit I can see so many faults...?? I think the cards would have been better if I left the background and had then just turn up with the other card face down... the challenges are great learning!!! I've been there Christine. For what it's worth, if you update your published files you can upload them to the same Google Drive folder and the existing links will point to the updated version. Note that this only works if you upload to the exact same folder - not even a new folder with the same name. In other words, you can delete and replace the contents, but not the folder. I loved it too... Great job! I can't recreate this. Can some more people give it a good testing please? Very nice concept of learning fractions, Melanie. The only thing I'd suggest is to display the instructions longer on the screen. I was watching all the birds flying in and didn't pay the attention to the instruction first - which was already gone when I wanted to read it. I like this one Melanie, the animation was a nice touch. I had the same problem with the second question. I put in two birds and it said I was wrong, I tried it again, with different birds and it worked fine. Hey Melanie, Great Work here! I like the concept of teaching fractions... that's what I'm teaching presently. Very creative to use a drag and drop. I also think the instructions should stay longer and be a little more explicit. Well done. 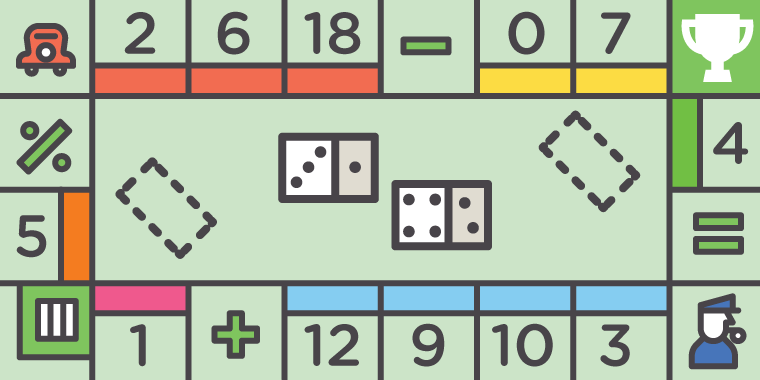 I really like the idea of using drag and drop to work with fractions. Especially since I could make things easier on myself by moving the birds around into neat groups. My wife would say "I have CDO. It's like OCD, but in alphabetical order - as it's meant to be." I second the other comments about keeping the instructions up longer. The fluttering birds, while beautifully animated, may be sensory overload for some people. Hi Christine - Your video appears to play correctly for me. Then again, the video could be stopping at a clean point making it less obvious (to me) that it's not playing correctly. Do you want to send or post your .story file so we can take a look? Hi David, There are 2 videos one doesn't play at all and one only plays halfway... I just don't know what I have done wrong... but I am sure its another learning experience... I am going to ask a dumb question, I have never submitted to Articulate before... how do I do this... do you have a tutorial on this?? or is it just an email.. Do I send you the working articulate story file?? Hi Christine - You can send me your file by emailing me at: danderson @ articulate .com. I'm more than happy to take a look at it. It's probably an easy fix. Make a Ten then Add http://zoffuto94.s3.amazonaws.com/Make%20a%20Ten%20then%20Add%20Worksheet%20-%20Storyline%20output/story.html As was suggested by Veronica, I took my cue from my first grader’s math worksheet. Her class uses the Singapore Math curriculum. Charles - I wasn't unable to complete the activity because 1) I don't know what a number bond is and 2) When I selected Try Again nothing happened. A number bond is taking two numbers that by bonding (aka adding) them together equal the number you want to make. So 6 can be made by bonding 3 and 3 or 2 and 4 or 5 and 1, etc. To try again you simply need to drag and drop a different set of numbers into the drop areas. I didn't have any problems with this, it was clear to me what I had to do, and even though I didn't know what a number bond was, visually it explained it to me. They're teaching this in school now? Excellent! One of the reasons I've always been a math wiz is because my dad (a math teacher) taught me all kinds of tricks (like this) they didn't teach us in school. It also helps to be a super genius. :-) Tricks like this allow you to perplex the cashier at the store by handing them $20.13 for a purchase of $19.88. Back when we had pennies... those were the days. Yes, it is great that they are making math more friendly. Breaking equations down into these simple bits makes it all seem so less intimidating. Smiles... I got it at first try and if well explained, it's supposed to make adding simpler and faster but it can be complex if the teacher doesn't explain properly! Anyway, great work Charles... loved it! I have updated my example to include better instructions (thank you Amanda) as well as a link to the story file. Awesome! Thanks for sharing the file, Charles! Thanks Christine! Yep, some of the folks I have here wanted me to add a hint for the solution slides just so it would be easier to compute whether or not they have pen and paper. I might be adding that in my revision. Holy factorials, Batman! You know, something like this would be great for teaching people about password security. For example, demonstrating how much safer an 8-digit password is than a 4-digit one or showing how much safer it gets when you use upper and lowercase letters, numbers and symbols. Great theme. The whole thing made me think of a Tim Burton movie. Great animations and theme Oscar. Love this demo Oscar - the imagery, the music, and the English/Spanish options. Great job! Thanks David, glad you liked it. I'm going to voice record the numbers, already got English, Spanish and French covered, thinking of adding German and Japanese, so that will be 5 in total. Like the colours, illustrations and the little game, unfortunately couldn't help Bob as I don't know what the coins are woth. It would be great if you could add a restart button at the end. Nice choice of music. I can see why people are having trouble. Those quarters and nickels look so similar. Spare change fact: Canada no longer uses the penny. It's a minor thing, but the apostrophes stood out. It looked like they were a different font and colour. Yeah they do. I almost got them mixed up myself! I noticed the apostrophes too. I think maybe the font doesn't have a style for them. Very nice. Plus I like the music. This has been great! Getting a concept was a major one for me but I decided to teach the basics of learning to say the time... https://itrysting.files.wordpress.com/2015/02/math-interaction_learn-the-time.pptx Comments appreciated! Great subject to teach. I can still remember my sister saying it was 5 minutes past 11:30. I can see how you could take what you have here and expand on it if you had more time. :) My only feedback is regarding the image of the colored pencils at the bottom left. I found it distracting. Thanks for the feedback Amanda, I was needing a 'school-like' theme which accounts for the pencil image... Noted and thanks! Good one Daniel! It's was great to see your concept created in PPT. It shows that anyone can participate in the challenges even if you don't have an authoring tool available. I know what you mean, Daniel. In a previous life I created a few e-Learning modules in PPT because that was the closest thing to an authoring tool I had. It took way more work to accomplish similar levels of presentation and interactivity in PPT as opposed to Storyline.